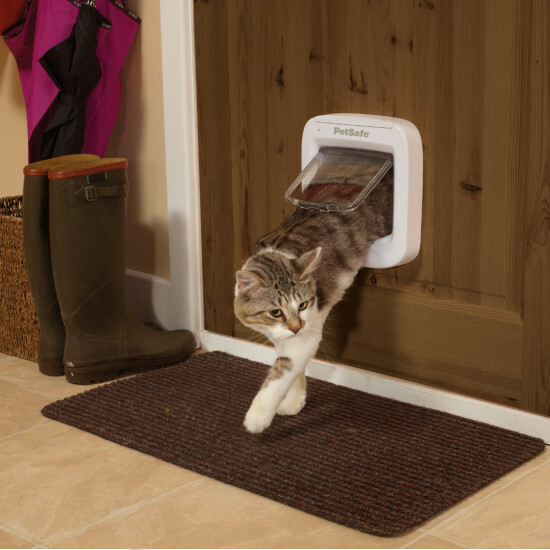 The PetSafe® Microchip Cat Door is the perfect solution for giving your cat freedom to come and go while keeping unwanted friends outside. The door reads your cat’s unique 15-digit microchip ID, and only allows access to the programmed pet – no more raccoons or stray animals in the kitchen. 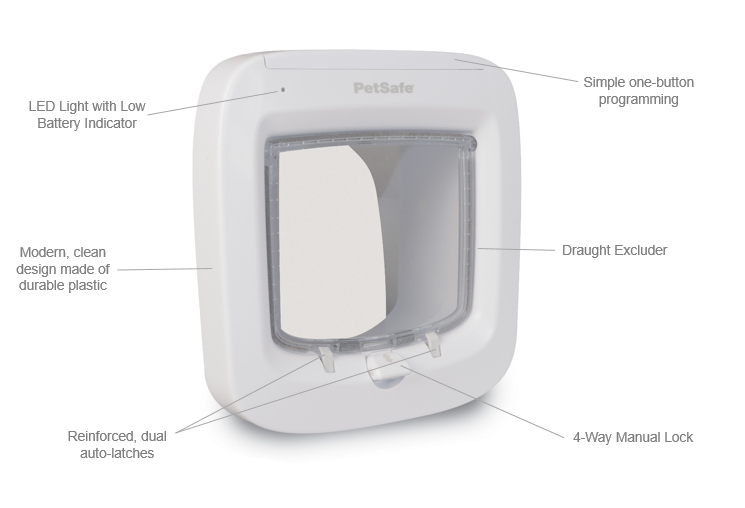 The PetSafe® Microchip Cat Door can program up to 40 pet identities, great for multi-pet households. The manual 4-way lock feature allows you to control your cat’s access, allowing you to lock it at night to keep your kitty safe inside. 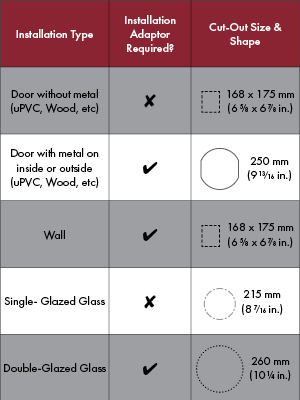 This door is powered by 4 AA Alkaline batteries and has an estimated 12 month battery life. The low battery indicator light will flash red when it’s time to change batteries. 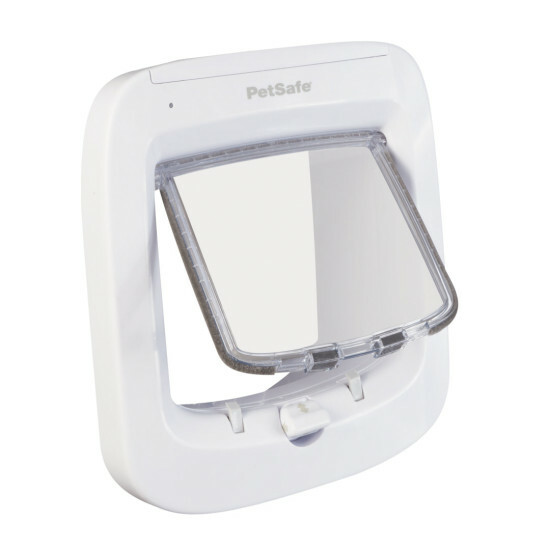 The PetSafe® Microchip Cat Door will help give you peace of mind while letting your cat come and go freely. 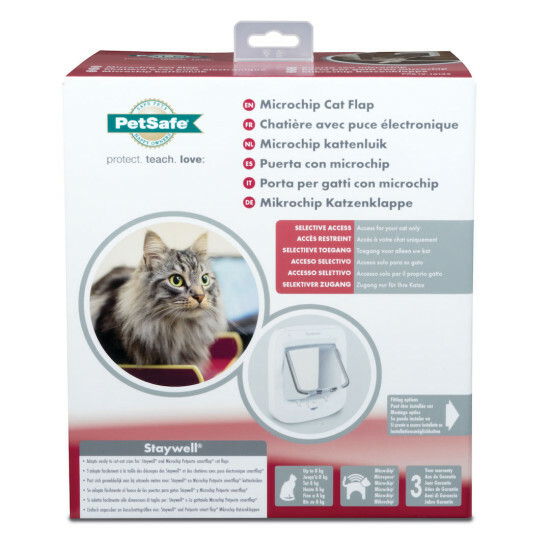 PetSafe® microchip-enabled products will only work if your cat has been fitted with a microchip. At present, some older and non-standard microchips may not work with our products. You can check to see if your pet's embedded microchip will work by entering the microchip number in the box below and clicking the &QUOT;check&QUOT; button. You will find your pet’s microchip number on your microchip registration form which will have been issued to you by your veterinarian. Please note that microchip numbers with 10 digits, letters, and those starting with 977xxxxxxxxxxxx and 98514xxxxxxxxxx are not currently compatible with our microchip-enabled products.